The holiday season is always a good time to get awesome free stuff. GIGABYTE has decided they should be the ones giving away the free stuff to those who use the AMD platform. The competition is simple. Using CPUz for validation you compete in three different stages to get up to 10 points for ranking in the top three submissions. The person with the highest overall score wins a GIGABYTE 990FXA-UD5 motherboard. 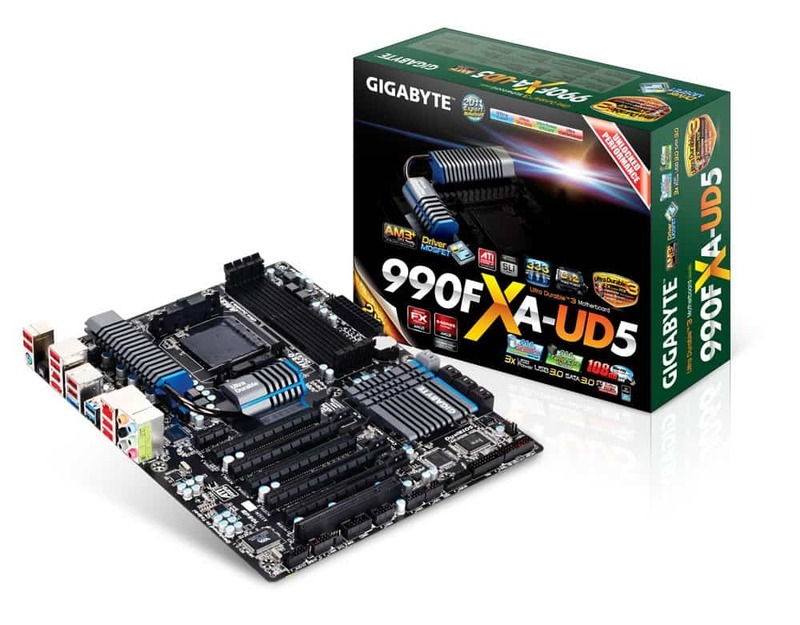 The second and third runner ups will win a GIGABYTE 990FXA-UD3. The three stages using the AMD APU platform is Highest HyperTransport Bus, Highest Memory Speed, and the Highest CPU Frequency. If you think you got what it takes to win, or even if you don’t, you have nothing to lose giving it a shot. For complete contest rules, scoring and more details, please visit the contest page hosted on HWBOT.org. GIGABYTE TECHNOLGY Co. Ltd., a leading manufacturer of motherboards and graphics cards, today announced the Xmas and New Year Contest, its latest overclocking competition run in conjunction with HWBOT.org. The GIGABYTE Xmas and New Year Contest is open to all Overclockers using any AMD APU on any GIGABYTE socket F1 A75 or A55 series motherboard , using any cooling solution. The contest winner will take home a GIGABYTE GA-990FXA-UD5 motherboard, with second and third place taking a GA-990FXA-UD3. Giving you a valid reason to get down to some serious overclocking fun during this years festive season, the GIGABYTE Xmas and New Year Contest will contain three cunning stages, each crafted to test your overclocking powers, while also giving you an excuse to avoid the in-laws.